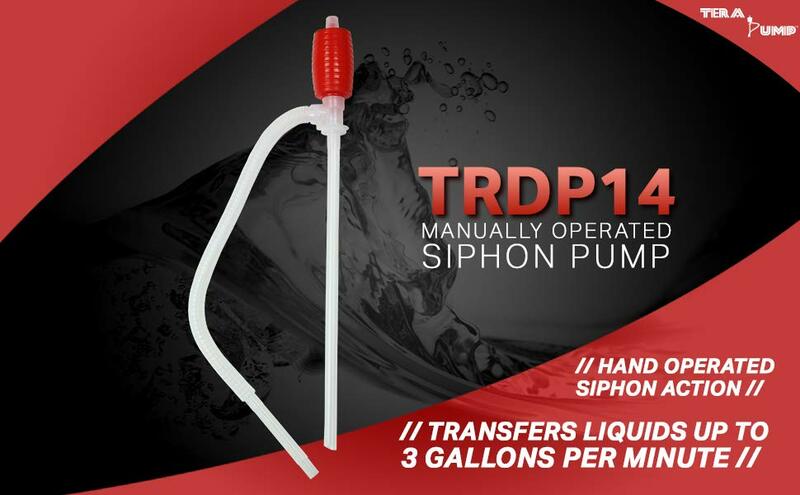 The TERA PUMP TRDP14 is an affordable manual fuel transfer pump designed for quick and easy emptying of gas cans of various sizes. The TRDP14 eliminates the lifting of large, heavy, gas cans and spilling wasted fuel. Up and down operated flexible spring type bellows allow smooth operation and high powered discharge. Suction Tube Inner Diameter: 0.55"
3. 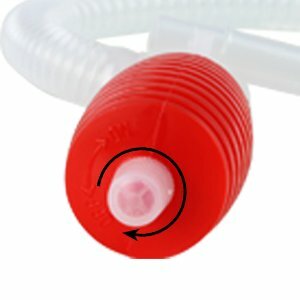 Tighten the air vent cap by turning clockwise to close vent. 4. Squeeze operation bulb a few times to start siphon action. Automatic siphon action will continue as long as fluid level in sending container is higher thank the level in the container that fluid is being transferred into. 5. 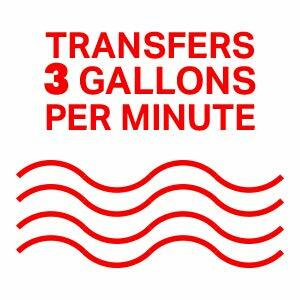 Before receiving container is completely full, stop fluid flow by turning air vent cap counter clockwise. Gently lift discharge hose slightly to allow any remaining fuel to drain. 6. Remove suction pipe from sending container. 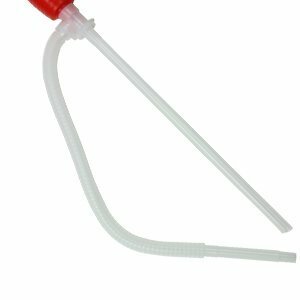 Insert discharge hose end into hose clamp to prevent fluid from dripping. 7. Clean up any spilled fluids and dispose of cleaning materials outside the living area.